My name is Solomon. 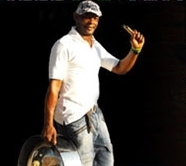 I was born in Trinidad and the pan is my passion. I love to hear it’s magical tones and interpret both classic caribbean songs and modern music. I am a drummer with a renewed interest in the tenor pan. I enjoy experimenting with all types of music, including rap, hip hop and R&B. I will continue to create more “pan magic” using fresh, urban-inspired beats. Check out my blog and visit often. I would love to hear your thoughts.